Hi all! Today I'm giving away a copy of the brand-new, just-released-today Joy the Baker Cookbook! It's full of delicious-looking photos and even more delicious-looking recipes -- it definitely deserves a place on your bookshelf. Unless you hate butter and sugar. And if that's the case, we can't be friends. To enter, please leave a comment here. I'll pick a winner by 5 P.M. E.S.T. Good luck! UPDATE: Gab, you are the winner! Please email me your address. Thanks for playing! I have this book on my wish list. It looks fantastic. I know I like reading her blog. I love JtB! Her podcasts are the best for piddling around the house. That way I can scrub and giggle at the same time! Yay multitasking! I love butter and sugar and most of all, chocolate. Ooooh I love Joy! So excited for this book. 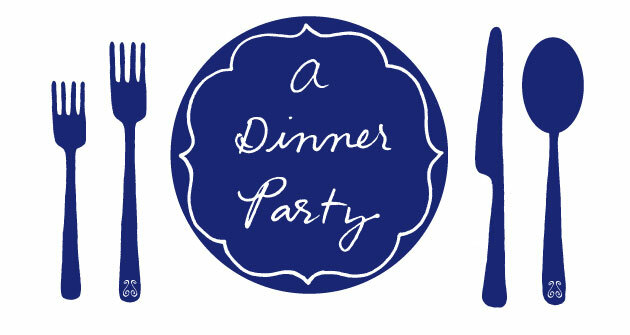 I love Joy's blog and imagine her cookbook will be just as witty and beautifully photographed as her blog! If Tilly could reach the stove, she'd be a baker too! butter and sugar...nom nom nom! Love her site (and would love her book!) - have you listened to her podcast? so good!! ohh I try to be healthy, but I do love butter and sugar:) mmmmm. I would love to win this Lisa! 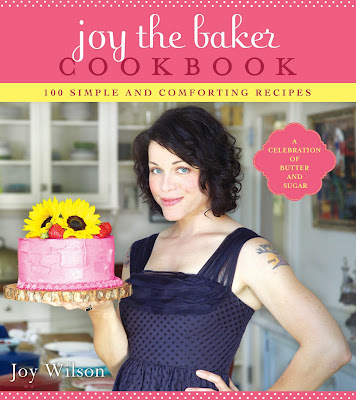 i absolutely love joy the baker and can't wait to read her book! Love her podcasts and all of the recipes I've tried from her blog have been fantastic! No doubt the one's in her cookbook will be too! Oooh, making it in under the wire! I love butter and sugar - I wouldn't have it any other way. what's for dinner, joy the baker?